Thanks to our 25 years of experience we know how to make the export and collection process of your used truck to Malawi as straightforward and convenient as possible for you. We handle the insurance of the vehicles in the UK, as well as the delivery to the port* and all associated paperwork. We would be happy to provide you with a shipping quotation for a used truck to Malawi and will provide all of the relevant documentation, including total loss insurance, for the collection of your order at the port. Because we are a family owned business, we pride ourselves on our friendly approach and our emphasis on forming good relationships when it comes to customer service. And our customer service to used truck buyers in Malawi is no exception. 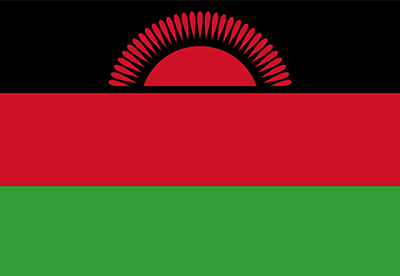 Our team has been trained specifically in the export and shipping of used trucks to Malawi, and to provide help and assistance for all of your needs. Our dedicated team is waiting for your call from Malawi. Safe and insured transportation of the vehicle to the relevant UK port for onward shipment of the used truck to Malawi's closest port (this includes fuel costs, insurance in the UK and UK customs clearance). In December 2016, one of our customers from Malawi purchased a Volvo FL6 18 tonne flat/crane and an ERF EC11 4 x 2 18 tonne tipper. We removed the tyres and wheels from the ERF before loading it carefully onto the flatbed of the Volvo, where once in place we then secured them with high strength steel cables and tensioners for transportation. The customer saved thousands on shipping charges and it was also then easier to transport the trucks to their final destination on the other side. Walker Movements, a family business based in the UK supplies quality used trucks for sale to Malawi. For 25 years we have been exporting used trucks worldwide. Our excellent facilities mean that we can export used trucks to Malawi as well as any other international ports and destinations. We take pride in being specialists in the export of used trucks for sale to Malawi from the UK. Our dedicated sales team are ready and waiting for your call from Malawi, so you're welcome to ask them any questions that you may have. Throughout our two decades of experience, we have seen a huge variety of truck makes and models pass through the exporting process. We currently have a vast range of used trucks for sale to Malawi, including: ERF, DAF, Iveco and MAN tractor units, alongside Iveco, DAF, ERF and Scania curtainsiders, Foden tippers and a wide variety of trailers. Other top brands are also currently in stock, such as; Renault, Mercedes Benz, Volvo, Hino and more. Each and every used truck for sale to Malawi is confirmed to be road worthy by our accomplished technicians before the shipping process begins. We would be more than happy to take your order for used trucks in Malawi, over the phone or via email. Alternatively, if you see a truck you are interested in on our website, please do not hesitate to get in contact with us using our online form. Please clearly state the truck you are interested in and the port you would like the truck to be exported to. As a family run business, we have a sales team dedicated to providing you with the best possible customer service. For any enquiries into the services we provide in Malawi, or to book an appointment to view our stock, please contact one of our friendly sales team. I'd like to thank Dave for such a friendly and prompt service. I am more than happy with the truck I purchased, which I've recently collected from Walvis Bay, Namibia. Compared to other used vehicles I have seen passing through this port from UK dealers, this one arrived in exceptionally good condition. I'll be placing a second order very soon! Wishing the team all the best.